Syd’s second birthday is hurtling towards us at a rate of knots, and to keep my mind from dwelling on how fast his early years are flying by, I have been thinking about what to get him. August is an expensive month, as Syd’s birthday falls just 3 days after his big sisters, so initially I had a plan to keep costs down a bit. We had decided to get Syd a garage as he loves cars at the moment, and always enjoys using the one at playgroup. We thought to save a bit of cash we would purchase one second hand from Gumtree. My other half, as the driver and gumtree expert, was given the task of getting hold of one. A task that he achieved quite admirably, obtaining and collecting a fab one. Just one small problem, he forgot it was a birthday present, so came home and gave it to Syd straight away. Cue lots of ‘wows’ and one very happy little man, and one Mummy back to the drawing board for birthday present ideas! Luckily I was then offered the chance to choose something to review from a fab range of interactive toys at Argos. I picked the Vtech Car Carrier. He loves anything with buttons to push, and this one has ones that will help reinforce his learning of colours, numbers and shapes, as well as playing lots of tunes. The Car Carrier recognises the vehicles from the Toot-Toot Drivers range and says a cheery hello to them. One of the difficult things about buying for 2 year olds is that there doesn’t seem to be an awful lot of choice, you are faced with baby toys, or things suitable for 3 and over. This toy says it is aimed at 1-5 so we should get a few years fun from it. Of course Syd hasn’t played with it yet, as his birthday is still a couple of weeks off, but I am sure he is going to love it. I have had a good look at it, it feels solid enough to withstand toddler rough and tumble, and is suitably chunky and tactile for small hands. It is fun, while also having some educational benefits, the combo that pleases parents! We have also got him a few other bits and bobs- some play dough, a number puzzle, and this fabulous book from Penwizard. They do some lovely personalised books for children. 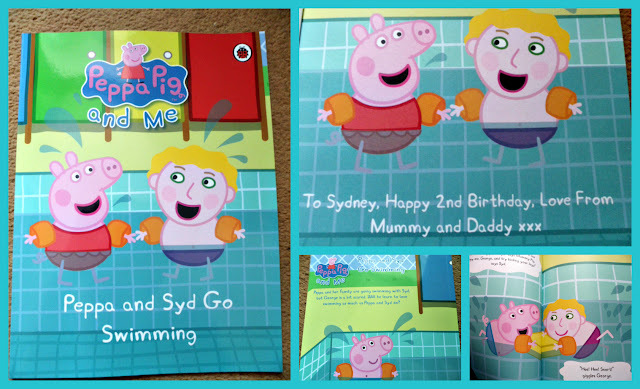 The one we were asked to review features Peppa Pig, and after our visit to Peppa Pig World last week, Syd is an even bigger fan, so I think he will adore this. It will be a lovely keepsake, my parents had something similar made for me when I was small and I still have it now! You simply pop onto their website, add your child’s name, choose their hair colour and style (my only minor grouch here was that Syd’s hair most resembled one from the girls style section, but I couldn’t pick that style without also putting him in a swimming costume instead of trunks- can we have some long hair for boys too please Penwizard! **), choose their eye colour, and you can add a personalised message for the inside front page. It costs £15 in paperback, and a hard back version is available for a few pounds more, I find this price reasonable as it is just fabulous, with high quality printing and binding. It was with me within 48 hours of ordering too. More than happy to recommend them for a gorgeous personal gift. I love it, and I think Syd will too! 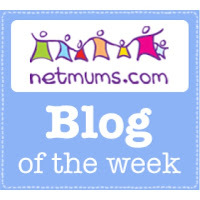 I have a few other bits and bobs in mind for him too, you can check out my pinterest board with ideas, and also do let me know in the comments if you know something no 2 year old should be without! I cannot believe we are already here! ** Penwizard have just let me know that longer boys hair styles are being introduced into new ranges this summer- yay!! We found that too, that you can’t find many toys specific for that age group. We got him a little keyboard that he loves and plays twinkle twinkle on constantly and a cars inflatable chair which he likes too! actually a chair is on my list for Syd too, good to know that Z likes his! I know exactly what you mean, a card with cash in just isn’t the same! 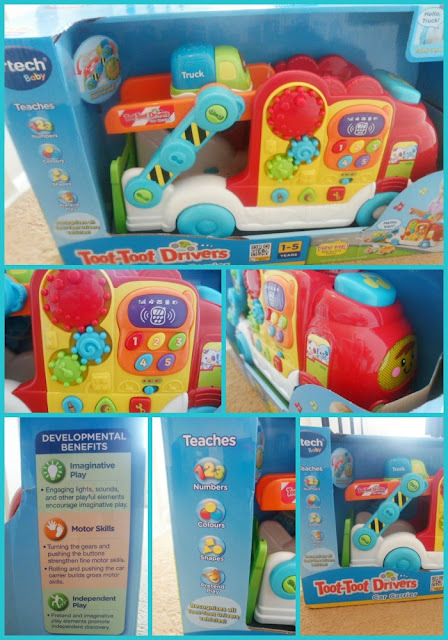 Our Ben loved the Toot-Toot Drivers Car Carrier he got for his second birthday. He had the garage for his first birthday (perhaps a little young), and his Godfather brought him the fire station for Christmas and his grandparents got him the airport as well. It *is* fun, and the little cars that go in it are, well, not so little in fact – they’re just the right sort of chunky for a two year-old’s hands. And as the extra cars are relatively cheap, you can expand as and when. The only drawback of the little cars that go in the car carrier is that they only have an on-off switch – no quiet/loud option 🙂 I hope your Syd enjoys his every bit as much! Thank you for the Peppa tip-off too – I shall be ordering one for our goddaughter who is obsessed with Peppa as our son is with Thomas the Tank Engine!